It has been nearly ten years since we lost the “dean of counterculture comedians” and his razor sharp insight is still sorely missed to this day. 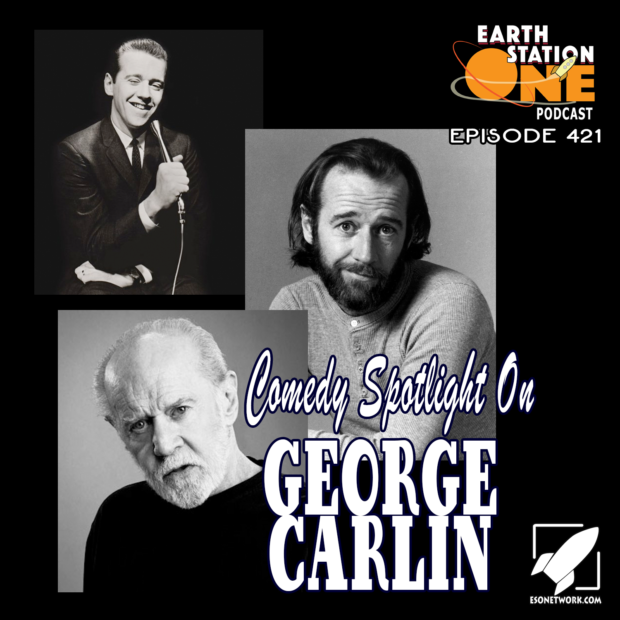 Mike, Mike, Kevin Eldridge, Nate Ward, and Ashley Sanders take a look at the career of George Carlin from class clown to grumpy old man full of complaints and grievances. Plus, comedian Kevin Gootee finds nothing funny about the Geek Seat (but we do). All this, along with Rants & Raves, Angela’s Geek Girl’s Take, Ashley’s Box Office Buzz, Michelle’s Iconic Rock Moment, and Shout Outs!